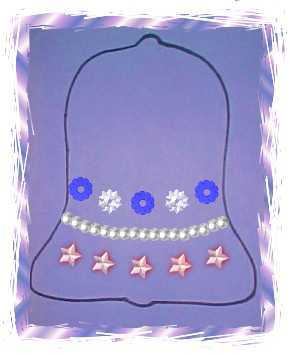 Provide children with sheet of construction paper with bell shape outlined on it. Have them cut out and either glitter it or decorate it with metalic reinforcements, stars, and glitter. We had students glitter it.